Companies with DevOps practices are faster, more reliable and are 2x more likely to exceed profitability, market share and productivity goals. But how to you enable high performance? What can you do right now to start? 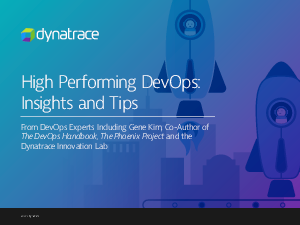 Find out from DevOps experts including Gene Kim, co-author of The DevOps Handbook, The Phoenix Project, and the Dynatrace Center of Excellence.